The area's relative biological richness means the bears can make up for some ice loss — at least in the short term. 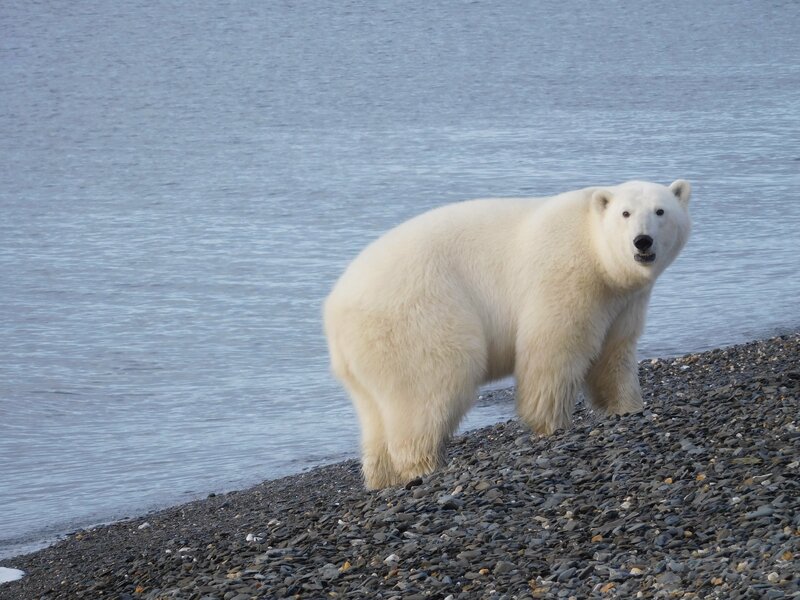 The Chukchi Sea between Russia and the United States has long posed a big question mark to polar bear researchers. The bears there are one of 19 distinct subpopulations found across the circumpolar Arctic, but no one knew just how many bears actually lived in the region. For decades, this lack of knowledge presented a huge challenge to those attempting to forecast the endangered bear’s future. But after eight years of tracking and tagging, scientists finally have an answer. In a study published Wednesday in Scientific Reports, a Nature journal, researchers from several federal agencies and the University of Washington pinned the population down to an estimated 2,937 bears. 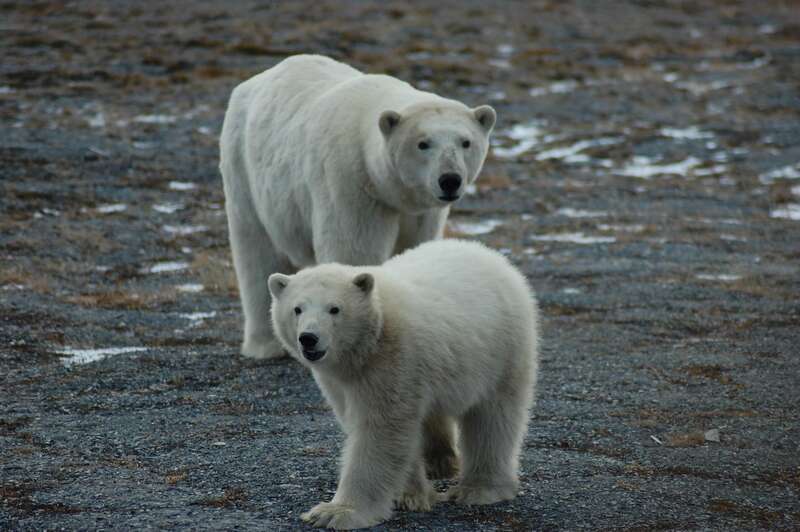 For all intents and purposes, the Chukchi polar bears appear to be doing well. Of the 19 subpopulations, only three are known to be in decline — those in Alaska’s Southern Beaufort Sea, and Canada’s Western Hudson Bay and Southern Hudson Bay. The majority are data deficient, while five are stable and two are increasing. In the United States, polar bears have been listed as endangered under the Endangered Species Act since 2008. With nearly 3,000 bears, Chukchi now falls among the largest known populations, though those bears are spread out over an ice area of 310,000 square miles. Population alone isn’t everything. Researchers still don’t have an idea of long-term trend and won’t be able to determine whether or not the Chukchi region used to have more bears than at present. But the data serves as an important baseline for future research. Eric Regehr, the study’s lead author and a former biologist with U.S. Fish and Wildlife Service who now works at the University of Washington, says he went into the study with an open mind about what he might find. Not all polar bear populations are yet seeing the impacts of declining sea ice, and Chukchi seemed promising. “It’s such a phenomenally biologically rich area,” he explains. “Bears can withstand having a shorter time out on the sea ice each year because when they are on the ice, there are plenty of seals to go around to recoup those losses to a point.” That also explains the bears’ good body condition. A previous United States Geological Survey study showed that the Chukchi polar bears had similar amounts of body fat to those monitored 25 years ago. Still, sea ice around the Chukchi is declining. “This year, sea ice has not reformed. It’s still far off the coast,” says Geoff York, senior director of conservation with Polar Bears International. Despite the ice loss, the Chukchi findings are already leading to changes in polar bear management, which is shared between the United States and Russia via the U.S.-Russia Polar Bear Commission. Though the latter has no legal harvest of polar bears, the United States previously allowed 58 bears to be harvested in the subsistence hunt each year. In light of the results, the commissioners announced the annual allowable harvest in the United States will now increase to 85 bears. Fundamentally, polar bears depend on sea ice and its loss is a long-term threat to the species. In turn, management must change as populations change.